The White Stork (Ciconia ciconia) is a very large bird with a wing-span of more than two meters. 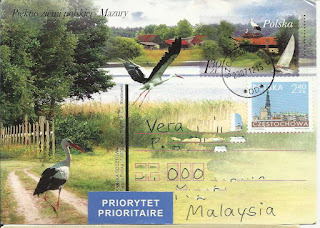 The bird is a long-distance migrant from their summer breeding grounds as far north as Finland, the birds will travel as far south as South Africa for a warmer winter. 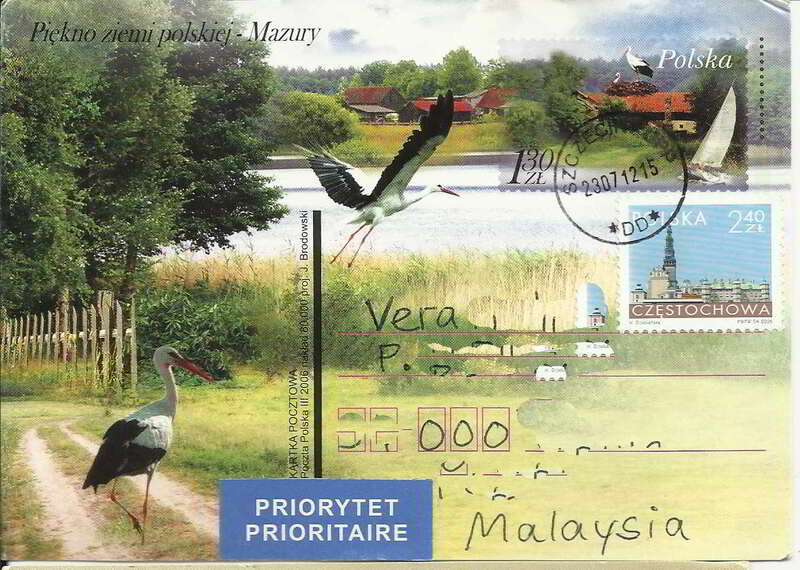 Thanks to my friend Witti who kindly sent me this colorful pre-paid card from Szcezecin, Poland.